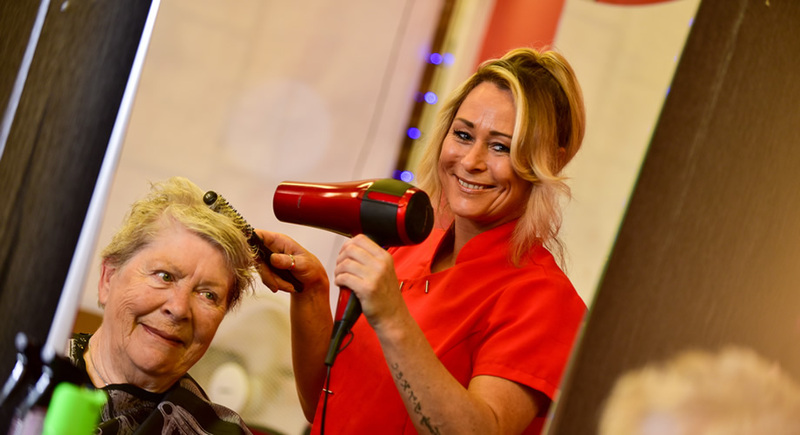 Janet is the new owner of a unisex hairdressers, providing hair treatments from colouring to cutting and styling, with 11 year’s experience in the trade, where she owned her own salon in Rhyl. Janet is combining her hair salon with providing spray tans for those special occasions or indeed adding a refreshing tint to the skin. Priding herself on great customer service, Janet provides quality cuts and styling at affordable prices to suit all budgets. Understanding her customer needs, Janet offers student discounts on Wednesdays and pensioner discounts on Thursdays. The salon is tasteful and modern, relaxing with the offer of a hot or cold beverage adds to the overall customer experience. Hair products are locally sourced and if you are looking for a product Chester Salon will source for you.